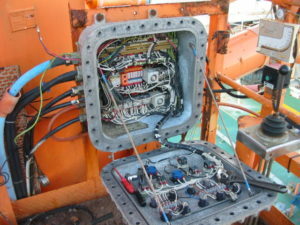 Ex equipment integrity is a crucial element in managing safety risk on offshore assets. As installations become more complex the number of Ex components increases significantly as does the cost of inspection and maintenance, especially as many of these components are not readily accessible. What is different about EM&I is that we have a proven track record, a highly productive and experienced technical team and an RBI approach with specialised techniques that dramatically reduce costs. We can provide a fleet wide or individual asset service using a database such as SafEx which is set up and populated from the Ex Equipment Register of each asset by our engineering teams who then assign a criticality ranking to each component. The database provides the work scopes and work packs which are reviewed and refined by the engineers to optimise the inspection efficiency by taking operational requirements, access and equipment types into account. The database is configured so that reports and other information are readily accessible electronically to our client on a global basis. EM&I inspections teams are multi-skilled CompEx certified rope access specialists working to the prioritised inspection programme prioritised by equipment criticality. Our teams, led by a highly-experienced team leader have the skills to access the components, inspect them (externally and internally) and carry out maintenance and repair as required. Our inspection reports are reviewed by the engineers, recommendations made and uploaded to the database for trending and compliance records. The initial set up and population of the database can be rapidly completed and a 5-year programme developed for each asset so that a campaign plan can be implemented, generally on an annual or 6 monthly cycle. Detailed programmes and budgets are of course provided for your fleet and for each asset to facilitate planning and cost optimisation.